La Frita Cubana or just Frita for short holds a very special place in my heart. If you’ve never had one and are a fan of Burgers then you should probably really get with the program. 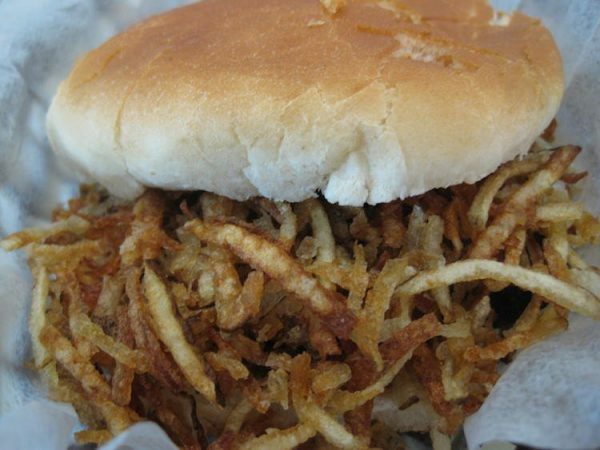 The Frita is a regional South Florida specialty although it can be found in pockets of the United States with large Cuban communities like Tampa and New Jersey. This list was not just thrown together over the course of one night. I retried all the Fritas not only here in the Top 10 but many others who didn’t make it. I take making these Top Food Lists very seriously because I know that folks do indeed use them as guides. One side note, if the restaurant did not make its own Julienne Potato crisps then they were never even under consideration, no canned potato sticks allowed. Icon) El Mago de las Fritas – Ortelio Cardenas cannot and will not be ranked by me. He is a living legend, his Fritas, and his cafeteria are ones you must experience at least once in your life. When he is on the grill and focused, there is no one better. Part of the magic (pun intended) is sitting at the counter where he’s working and talking to him. 10) Fritas Domino – Ever had a deep fried Frita? Well, that’s how they make them at Fritas Domino. It’s a bit of a different texture but still good. Of all the joints on this list, this is the biggest dive which means you will love it. 9) Polo Norte – Who even knew that Miami mini-chain Polo Norte known for their Ice Creams also had a great Frita? Well, now YOU do! 8) Sergio’s – Go Mini-Fritas or go home. While I’m not too big of a fan of the bread, it’s what it’s on the inside that counts, at least my Mom told me that. 7) Latin House Burger & Taco – The most non-traditional of Fritas on this list. The first bite will have you thinking, what was that? And before you know it, like Keyser Söze, it’s gone. 6) Luis Galindo Latin American – Now this is a giant Frita. It already comes with Cheese, Ketchup and full of flavor. I’ll take two. 5) Morro Castle (NO LONGER OPEN) – This is my Sunday Frita. Whenever I’m craving a Frita on Sunday I hit up this place for a couple of Frita and Churros. It used to be drive-in so you gotta love the building, so old school. 4) Morro Castle (Hialeah) – This is the site of where I had my first Frita. I have an emotional attachment to it plus the Frita is pretty f’in good too. 3) Cuban Guys – The owners of Cuban Guys are just like you and me, giant fans of Cuban Culture. They’ve created a really great Frita and you should really have a few (one a Caballo of course). 2) Bread + Butter Counter (NO LONGER OPEN)- Chef Alberto Cabrera is the man taking Cuban Cuisine to a new level in Coral Gables. BUT, he knows that Fritas are where it’s at. 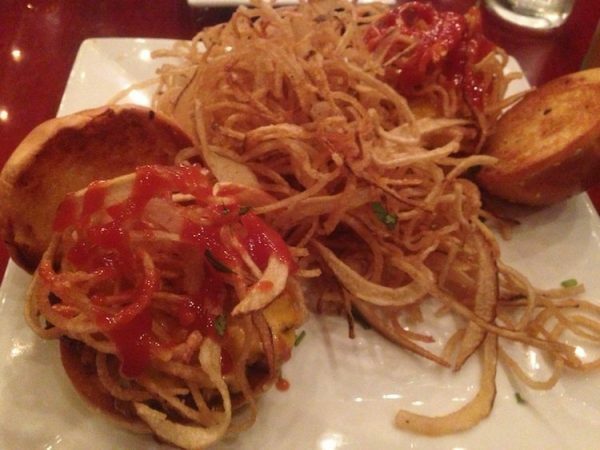 There is always one variation of a Frita on the menu but if you see the McFruffin on there, get it! 1) El Rey de las Fritas – For a long time El Rey was my number two Frita but no more. They consistently make the Best Frita. They are dedicated to keeping the art of the Frita alive and for that, we should all be thankful. 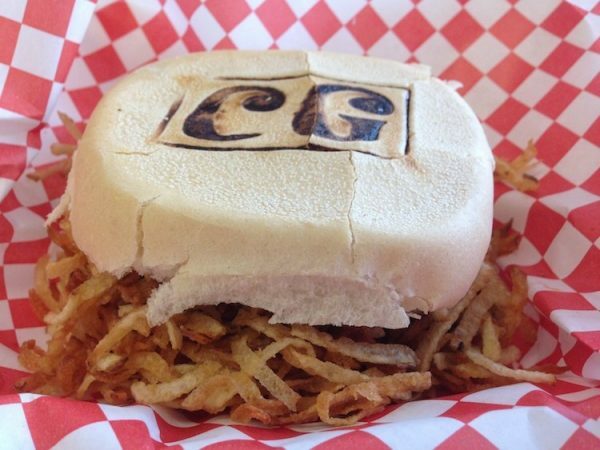 Plus, they were named “Best Frita en el Mundo” at last year’s Frita Showdown, how can you argue with that?